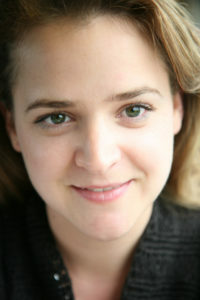 Zlata Filipovic was born in Sarajevo, Bosnia and Herzegovina. At the age of ten, she started keeping a diary, which, when the conflict began in former Yugoslavia, became a record of the war and survival in her city. Zlata’s Diary was published first in France in 1993 and was an instant international best-seller. It has since been translated into thirty-six languages and is required reading in many schools around the world. She holds a BA in Human Sciences from Oxford University and an MPhil in International Peace Studies from Trinity College Dublin. She has spoken extensively at schools and universities around the world about her experiences and has worked on many occasions with different organisations such as the Anne Frank House, UN and UNICEF, also being a three-time member of UNESCO Jury for Children’s and Young People’s Literature Prize for Tolerance. Her written work includes contributions to several books, radio programmes and newspapers, including a foreword for The Freedom Writers Diary (Doubleday, 1997) and the English translation of Milosevic: The People’s Tyrant (I.B. Tauris, 2004), for which she has also written a foreword. She also co-edited Stolen Voices: Young People’s War Diaries form WWI to Iraq (Penguin, 2006). Zlata served for six years on the Executive Committee of Amnesty International Ireland and is currently making documentary films in Ireland and internationally. Her documentary work includes the Emmy-nominated documentary The Farthest as well as Grierson nominated Here Was Cuba and Irish Film and Television Award-winners Somebody To Love and Blood of the Irish. She specialises in social issues, science and historical documentaries.